INGRID L. BLECHA GESELLSCHAFT M.B.H., Aluminiu si aliaje, Garduri si portaluri, profile din aluminiu, pe EUROPAGES. EUROPAGES > Aluminiu si aliaje > INGRID L. BLECHA GESELLSCHAFT M.B.H. INGRID L. BLECHA GESELLSCHAFT M.B.H. Aluminium is our business. Innovation is our destination. 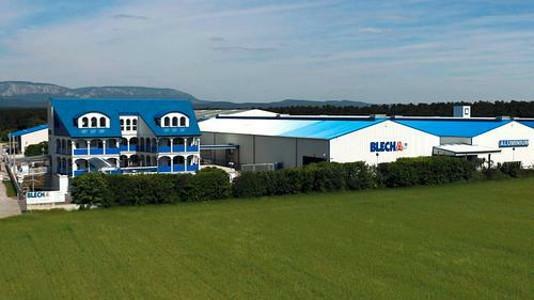 We are a stockholding aluminium wholesaler based in the southern Lower Austrian town of Neunkirchen. We have been supplying standard and special profiles, fence systems and fittings made of aluminium for around 30 years. We stock more than 2800 different sizes in Neunkirchen. From here we export to more than 60 countries worldwide. It's not by accident that we can now look back on more than 30 years' industry experience and many awards. Expert advice is of the utmost importance to us!